I am a 2018 W1-W8, can I race a world qualifier? NO. Anyone holding a world number from Baku, Azerbaijan cannot race a qualifier. I am qualified for one of my bicycles (20"or 24") does that qualify the other? NO. You must qualify on each class and bicycle you wish to compete. I qualifed in 2019 at a qualifer, can I race additional qualifers? Where are the qualifier races? What class do I race at the qualifier? Challenge class or Master. The racing age of the rider is age as of December 31st of the racing year. There is no proficiency in UCI classes. What is the difference beteween Challenge & Master class? Challenge class is an amateur class, Masters class is for riders 30 years of age and could be considered veteran pro. Is the qualifier racing under UCI rules? Is the qualifier racing under the total point scoring rules? Do I receive USA BMX points for the world qualifier races? I am a Jr Elite or Elite Rider, how do I qualify? Do I need a UCI or USA Cycling membership to race a world qualifier? Can I register for only the challenge class at the qualifier races? Is the qualifier race open to everyone? Can I race more than 1 qualifer, if I do not qualify? Does the qualifier race have a special schedule? The race will run with the regular Friday national schedule at each event in place of open classes. Keep in mind UCI classes do run total points, 3rd round will be immediately after 2nd round concludes. What age classes are offered at the qualifer race? A full list of UCI classes can be found here. UCI rules state the riders only race age group and they do not recognize proficiency. Can I sign up for both masters & challenge at the same qualifier or another qualifier? No. Those are 2 different UCI class proficiencies. Once you race (deem) a UCI category you are then obligated to race that category for the entire 2019 season. Is there any special documentation you need to race a qualifier? No. You only need proof of your USA BMX license. Where do I find a list of the riders already qualified? When is the World Championship? Where is the World Championship? Do I need a visa to visit Belgium? What is the schedule for the World Championship? We are awaiting an answer from the organiser of the race in regards to ticketing and access. I am qualified to race the World Championship, whats next? What will the cost be for Worlds entry fees and Team USA jersey? The cost for entry will be $400 per class. This does include 1 jersey, coaching staff, mechanics, and athletic trainers for rider support. Its possible to book a team host hotel and receive over a $50 discount on registration. I was not able to qualify, where can I fill out a nomination form? Can I cancel my registration once submitted? NO! There will be no possible method to cancel a worlds registration once your order is submitted. Due to the registration process with UCI and the jersey we will be unable to refund or cancel a registration once the order is processed. Now that I have qualified, when can I signup and what is the deadline? I qualified for worlds, but there is no link to register on the website, it only goes to the event page, how do I register?? The registration is from March 1st, thru April 12th. If you are not seeing the link you may be on a mobile device. Please visit from a computer and internet browser as mobile registration does not work due to the compleixity of the registration process. Do I have to wear a Team USA uniform at the World Championship? The Team USA jersey in mandatory. Race pants, gloves and helmets may be of your own liking. Can I add my own sponsor logo to the Team USA Jersey? Riders may have sponsor logos added to the front of their jersey. The maximum space allowed for sponsors on the jerseys is 4” x 12” (10cm x 30cm). Each rider may have last name added to the back of his or her jersey (across the shoulders). Can I change my sponsor logo after I register? NO! The jersey print process will begin once you place your order. The file you upload will be the logo that is used on your jersey. Zero changes can be made once you submit your registration order. Please plan accordingly to upload the proper artwork! What kind of artwork is needed for my sponsor logo on the Team USA jersey? Logos for the jersey need to be in a vector type art file. Adobe, postscript or other high quality artwork is needed. If you upload low quality artwork its possible your logo will appear blurred upon printing. Do you need to have a sponsor logo for the jersey? NO. 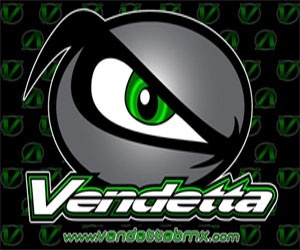 This is only for riders that want to add their own logo. What is the cost of customizing a jersey with either the name or sponsor logo? Can I receive extra jerseys with or without names and sponsors on them? YES. You have 1 opportunity during the registration process to purchase up to 6 jerseys per registered class. Any of those 6 jeresy can be customized as needed. Jerseys are $50 each. When do riders receive their jersey? During team usa athelete pickup at the world championship. Is there a size chart for the jerseys? We have been told the sizing is very similar to a Fly Racing jersey. Download a size chart here. Can we purchase jerseys before we pay for race? No. The only opportunity to purchase jerseys is during the registration process. I can’t go to worlds, but qualified. Can I purchase a jersey? No. The only opportunity to purchase jerseys is registering to compete. Do I need a UCI license to race the World Championship? Yes. 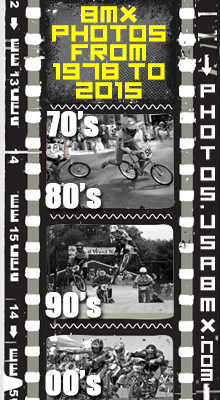 A UCI BMX International license in the USA is purchased and issued by USA Cycling. Do we need only one membership to race both class and cruiser? Yes. 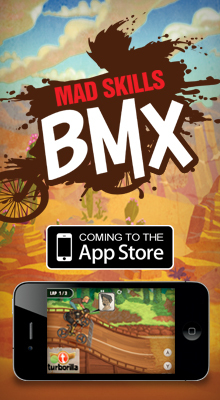 A UCI BMX International license is good for both bicycle types/classes. Where do I get a USA Cycling license? The license must be purchased directly from USA Cycling. USA BMX can not issue a USA Cycling license. My USA license says its pending awaiting proof of citezenship, how do i fix this? How do I submit the 12 pages of USA cycling waivers? Will I need my USA Cycling license before I attempt to register for the World Championship? Yes. Please plan accordingly to purchase your license and get a member ID issued by USA Cycling before attempting the registration process with USA BMX. If you make a mistake registering will someone contact you to correct? If you complete the registration process you should not have any mistakes as the process will not allow you to checkout with incomplete information. In the instance an improper or missing waiver is uploaded we will email for corrections. Logos for jerseys will not and cannot be corrected once submitted. I registered yesterday but am still getting emails about the deadline to register. How do I find out if all of my paperwork was ok? If you registered and received a confirmation number or email starting with "STR" then you are complete. Emails will continue to go out with reminders and update to anyone that is qualified. After the announcment of the team only registered team riders will receive communication. 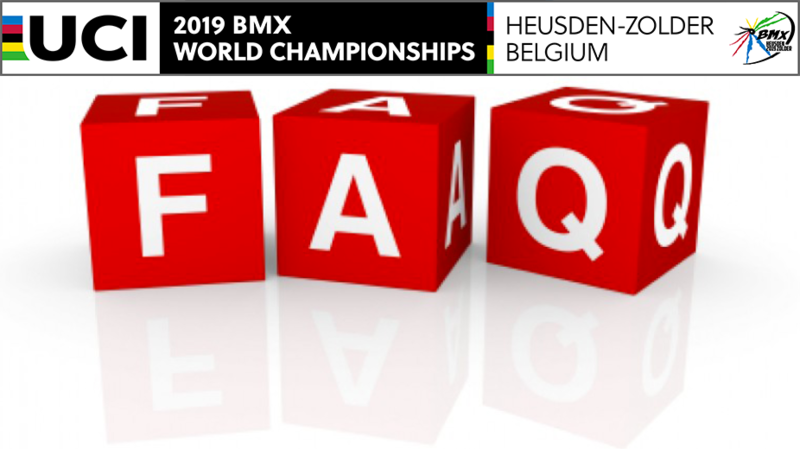 What bike plate number do I use at the World Championship? 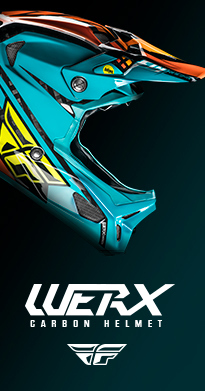 Can I have my own stickers of choice on my helmet? Possibly a separate sponsor?? Is there a host hotel for Team USA? Yes. Pleae visit teamusahotels.com for the links. Additionally, there is a discount for booking at the team host hotel. No. We do not have any plans for further travel arrangements beyond a host hotel. To our knowledge there is no transportation to Zolder from the host hotel. When should I arrive in Belgium for Worlds? We reccomend arrival 3-4 days prior to the 1st race day. Once there is an event schedule we will be able to provide further details on team meetings & practice. I cannot arrive for a practice day, how do I receive credentials? Team USA representatives will make every attempt to have an option each morning of practice for credential pickup. It is the riders responsibility to arrange enough time to pickup and Team USA will have no guarantee on practice morning the line for pickup will end prior to practice. Can I watch the event live on TV or webcast? The host city is responsible and we have no information at this time. When will the finals for each class be ran? Final main events and awards for each class will be completed for each day of racing and the respective classes for that day's racing on the schedule.